Amazon Echo Dot is a smart home speaker unveiled by Amazon in March 2016. It connects to your home Wi-Fi and to the Alexa app on your smartphone or tablet. 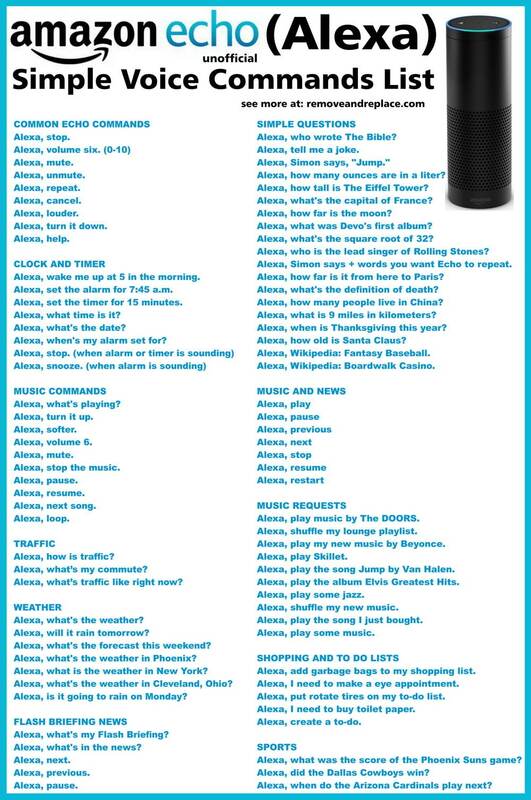 Both iOS and Android versions of the Alexa app are available in the respective app stores. Echo Dot leverages the artificial intelligence capabilities of Amazon Alexa, the smart voice assistant developed by Amazon. This officially makes it one of the most prolific and best-selling AI-capable consumer devices in the world. In its original iteration, the Amazon Echo Dot was supposed to be a lightweight and cheaper version of the larger Amazon Echo. Since it had weaker speakers than the Echo, Amazon provided outputs for the audio so it could be connected to external speakers using a 3.5mm audio cable, or hooked up wirelessly to an external Bluetooth speaker. Echo Dot is Amazon’s first mini-sized iteration of the Echo line of smart speakers. It has been, by far, the company’s best-selling Echo product over the past nearly three years. It is now in its third generation, with 70% louder audio, an updated fabric-clad design and about 30% larger than the original Amazon Echo Dot. Originally sized at 3.3″ X 1.3″, the second generation Echo Dot came with larger 3.9″ X 1.7″ dimensions, and was available in black or white color options. It also had its speaker size upgraded from 0.6″ to 1.6″ and was made available in three colors: Sandstone, Heather Gray and Charcoal. According to Amazon, the third generation Echo Dot will once again be in stock starting February 1, 2019. Available at a pre-order discount price, two Echo Dot third generation devices can now be pre-ordered for the price of one, presumably for a limited time. What Can Echo Dot Do? Play music from Spotify, Amazon Music, Pandora, SiriusXM and, more recently, from your Apple Music account. Pair it with another (3rd generation) Echo Dot for a stereo sound experience. Call or message anyone in your phone’s contact list. Add specific Alexa Skills by installing and enabling them on the Alexa app. Do Voice Shopping on Amazon after connecting your Alexa app to your Amazon account. Control your Sonos speaker through Echo Dot. The Echo Dot is designed to be set up in a few minutes after unboxing. The first step is to download the Alexa app and get the Echo Dot plugged in and connected to your home Wi-Fi for it to start working. The second step is optional, which is either connecting to an external speaker with wires, or pairing it with a Bluetooth speaker that is connected to the same Wi-Fi network. Step 1: Remove your Echo Dot device from its box and plug it into a power outlet. Step 2: Download the Alexa app to your iOS or Android smartphone or tablet and launch the app. Step 4: On your Echo Dot, press and hold the Action Button (see image above) until the light ring turns to orange. 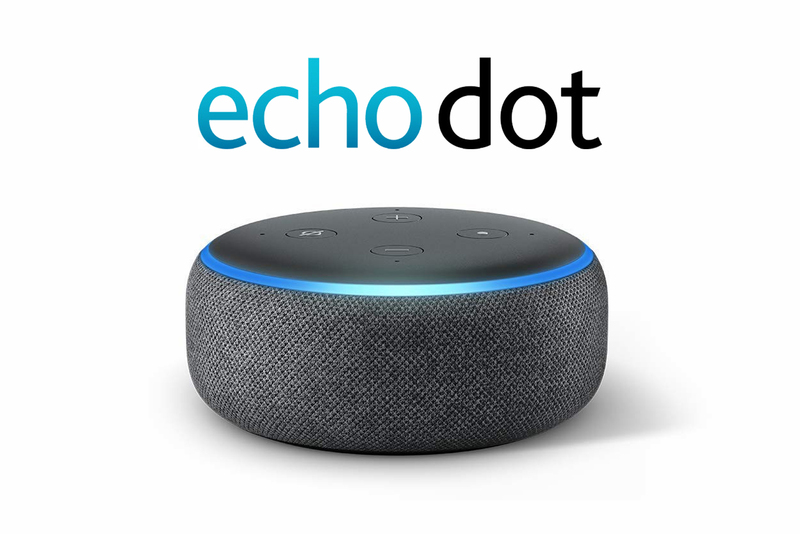 Step 5: If your smartphone or tablet does not connect to the Echo Dot at this point, you may need to do it manually from your mobile device’s Wi-Fi Settings. If this is the case, then connect to your Wi-Fi network manually from the list of available networks. Step 6: If you have carried out the steps properly, your app will show a confirmation message. Your Echo Dot is now ready to use with Amazon Alexa enabled. The Echo Dot’s smaller speaker (compared to the Amazon Echo) makes it suitable for a smaller room, like your bedroom, dining room or kitchen. If you want bigger sound, you can connect it to an external speaker using a 3.5mm audio cable or a mini-USB out. Option 1: Using a 3.5mm audio cable with male at both ends, connect one end to your Echo Dot’s 3.5mm audio port (Aux out) and the other end to the input port (Aux in) of your speaker. Option 2: Using a mini-USB to 3.5mm audio cable (both ends male), connect the mini-USB end to the Echo Dot’s Aux out mini-USB port and the other end to your speaker’s Aux in port. To pair your Echo Dot with a Bluetooth speaker, first make sure that your speaker is compatible. The Echo Dot cannot pair with a Bluetooth speaker that requires a four-digit PIN. Also, until recently, Alexa on Echo Dot could not take or make calls, or receive messages sent to your smartphone or tablet. That changed in 2017 with the second generation Echo Dot. Step 1: First, put your Echo Dot into Bluetooth pairing mode from the Alexa app by going to Settings > Your Echo Dot Device Name > Bluetooth > Pair a Device. Step 2: Now go back to the home page on the app and go to Devices > Echo Dot > Bluetooth Device > Pair a New Device > Your Bluetooth Speaker name. If successful, you will see the speaker name in the Alexa app in the list of devices, and Alexa on your Echo Dot will confirm successful pairing. To disconnect Echo Dot from the Bluetooth speaker, simply say “Disconnect”. If you say “Connect” again, the most recently used Bluetooth device will be connected to your Echo Dot. Depending on which generation or model of the Amazon Echo Dot you own, there are different ways to reset your Echo Dot device. The third generation Echo Dot offers a simple way to reset the device. Use this method if you face an error setting it up the first time, if it suddenly becomes unresponsive or if you’re giving away your device to someone else. Do not reset your device or turn it off when you are doing the initial setup. Step 1: Press and hold the Action Button for 25 seconds. Step 2: The light ring should turn orange, followed by blue. Step 3: The Echo Dot device will now turn OFF, then ON again, and will enter Setup Mode. You can now re-initiate setup from the Alexa app on your iOS/Android smartphone or tablet. The video below shows you how to do it. The method to reset the Echo Dot 2017 (second generation) is slightly different. Step 1: With your Echo Dot (second generation) 2017 turned on, press and hold the Volume Down and Microphone Off buttons for about 20 seconds. Step 2: The Echo Dot light ring will turn orange and then blue. Step 3: The device will turn OFF and ON again, and the orange light ring will indicate Setup Mode. You may setup your device on your Alexa app on a different account. See the video below on how to reset Echo Dot second generation. The first generation Echo Dot is a little less convenient to reset than the two newer models. Amazon clearly learned from customer feedback and implemented the changes in the new versions. Step 1: Take a paper clip, unbend it so you have a sharp end, and use that to press the reset button on the bottom side of the Echo Dot device. Step 2: Wait for the device’s light ring to turn orange and then blue, after which it will become orange again and enter Setup Mode. You can now set it up with another Amazon account. In 2018, Amazon launched the Echo Dot Kids Edition to take advantage of the popularity of its Fire Kids Edition tablet and bring it to its smart home speaker product. 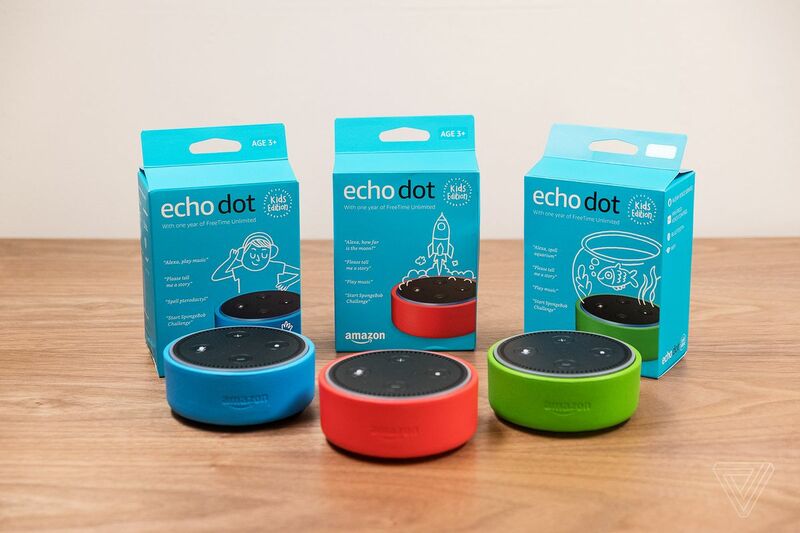 The device is identical to the Echo Dot regular version, but comes with colorful rubber sheaths (blue, green and red) for extra protection, as well as a free one-year subscription to FreeTime Unlimited and an unprecedented two-year replacement warranty in case of damage. Size and speaker performance are the two key differences between the Amazon Echo and the Amazon Echo Dot. 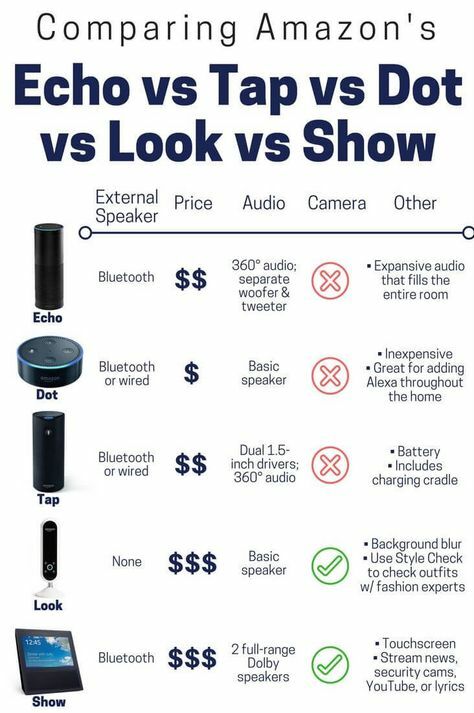 Below are downloadable versions of the Quick Start Guide for all three generations of Amazon Echo Dot. Click on the text link or the button next to it to open the respective PDFs in a new browser tab, then click the download icon in the browser tab to download to your device or computer. Over the past three years or so, the Echo Dot has been one of the top-selling Echo devices. Amazon does not reveal specific sales figures, but Amazon’s SVP of devices and services, Dave Limp, earlier this month revealed to The Verge’s Dieter Bohn that over 100 million Echo devices have been sold. What we also know is that Amazon Echo Dot was the best selling product on Amazon.com for three years in a row: 2016, 2017 and 2018. We know this from the company’s annual earnings reports, press releases and other sources. With the third generation Echo Dot already launched, 2019 Echo Dot sales should once again outshine anything else on their retail portals. Apple Music being added to the mix is going to help Echo Dot sell even more units because, obviously, the HomePod is a pricy product compared to the Echo Dot. That brings us to Echo Dot and its direct competitors. It’s not quite fair to say “competitors” in the plural because, for now at least, the only real threat to the Echo Dot’s dominance seems to be the Google Home Mini which, not surprisingly, doesn’t retail on Amazon. However, a quick search will reveal a ton of accessories. There’s also an emerging crop of smaller competitors like the JAM Voice portable speaker, which addresses the sound issue of the Echo Dot as well as boasts a rechargeable battery pack so you can take it wherever you go. It’s got Alexa inside, so it leverages what the Echo Dot offers. However, as integrations go, there’s really no substitute for the Echo Dot, especially if you want to do voice shopping through your Amazon account and other useful stuff like that. The Google Home Mini, on the other hand, offers some real competition at the price-point and feature levels. It leverages Google Search and other capabilities that aren’t as good on the Echo Dot, and it integrates really well with Google’s smart home products as well. If it’s a choice between the Echo Dot vs. Google Home Mini, we’d recommend getting both so you can have the best of both worlds.